A Teacup Pomeranian dog is a cute looking pet. The size, personality, and colors of the dog endear it to dog lovers. If you already have a Pomeranian teacup dog as a pet, then you should be familiar with its lovable qualities. If you don’t have a Pomeranian yet, I recommend that you get one. However like most owners of this dog breed do you know the facts about this dog? Are you interested in learning a useful tidbit or fun info about your pet? If that’s the case, the information below will be of some help to your inquiring mind. 1. Some dog lovers call the dog breed Toy Pomeranian, Mini Pomeranian, Teddy Bear Pomeranian, Miniature Pomeranian, Pocket Pomeranian, etc. Each alternate name refers to a small-size Pomeranian. Still, Teacup Pomeranian is the most common term most people use talking about this dog breed. Zwergspitz, Dwarf Spitz, Loulou, and Pom are other alternate names for the dog. 2. The Teacup Pomeranian’s ancestors were the Wolfspitz or Spitz type dogs from the Arctic region that were used as working sled dogs. The word “Pomeranian” in the dog breeds’ name is derived from the area of Pomerania where the dog breed was being bred as a pet. The dog breed at that time was larger than today’s Pomeranian though they share the same physical traits. Pomerania is not the place of origin of the Pomeranian breed, but it is the place credited to have bred the first dog that will become the forebear of the Pomeranian. Pomeranians were the favorite pet of royalty. Maria Antoinette, Josephine Beauharnais and Queen Charlotte of England are some examples. Queen Victoria of Britain is also one well-known royal that owned Pomeranians. In fact, she established here own breeding kennel which developed the familiar small-sized Pomeranian we see today. The first breed club and breed standard appeared in England during 1891. 3. 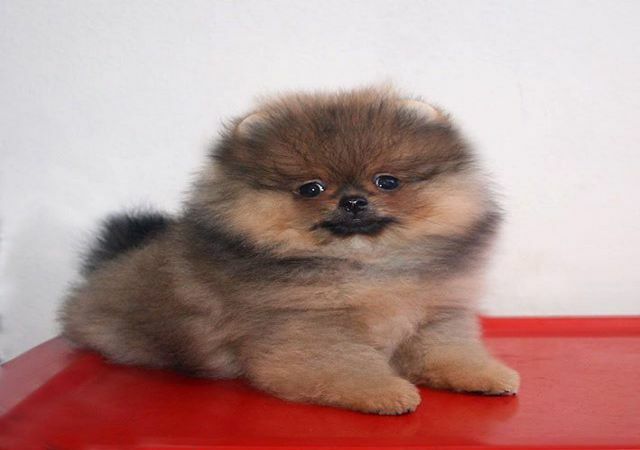 The lowest possible price in a Pomeranian Teacup puppy or dog is $500. The highest price is at a $4000. Generally speaking, the basic price is $600 to $1500. Be aware that some factors can set the price on the dog breed. A purebred Pomeranian will fetch a high price, while a half or mixed breed has a lower price tag. A fair warning when buying a Pomeranian puppy: some puppies may cost more than they are worth. Other breeders may try to sell you a non-purebred puppy at a very high price. Make sure that you buy your Pomeranian puppy at respected and trusted breeders only. 4. According to the American Kennel Club (AKC), Pomeranian that is 7 pounds or less in weight is a Teacup type. 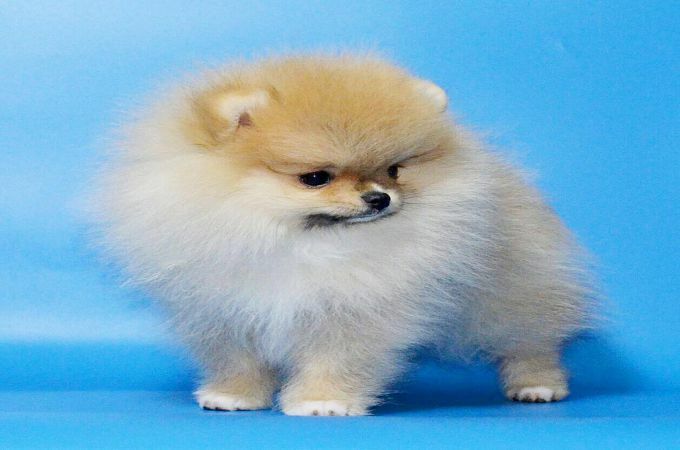 The AKC considers any tiny Pomeranians with a weight of 3 and 7 pounds to be in the Toy Standard classification. The dog breed is compact yet short in the body. The Pomeranian possesses a textured and abundant coat with a plumed tail and ruffs of fur on its neck. The dog’s double coat is thick in the layer. A Pomeranian Teacup is always alert and aware of things around it. The dog can also be lively, friendly and playful, but sometimes it has a habit of barking excessively. The dog’s intelligence allows it to respond to training successfully. Finally, a daily walk and play keep the Pomeranian dog healthy. 5. Though the size of a Teacup Pomeranian dog is small, its lifespan is long. The dog can live up to 12 to 16 years. It’s even possible to extend the dog’s lifespan through good, well-balanced diet, plenty of exercises, treating its health problems and proper care. 6. Colors are what makes a Pomeranian look beautiful and adorable to our eyes. Here is a list of coat colors in a Pomeranian. Sable – Sable Pomeranians have a distinct solid base in its coat with black-tipped guard hairs. In some dogs, if the sable color is very light it will not show up in a picture of the dog. Beaver – A dilute form of chocolate color. Beaver Pomeranians also have skin pigments in beaver color. This color is often mistaken for cream. Red – Red Pomeranians coats look like rust or red-orange to human eyes. Orange color that is very dark and deep is red regarding category. Any dark cream, brown or chocolate coat is also considered as red. Lavender – Lavender Pomeranians are exotic Teacup Pomeranians due to their coat color. 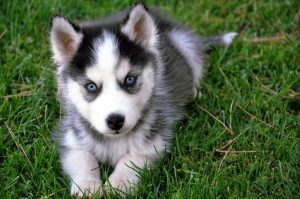 The dog looks light gray with a little purple touch of color, but it is diluted blue. Orange – An orange Pomeranian’s coat color can either be light or dark. There can be some black stripes on the orange coat. A very deep shade of orange is classified as red. Merle – A merle coat is a diluted form of a color. The dog has a speckled coat due to the patches or dots of color like gray, red, or light blue blending in the coat. Cream – This color has a broad range of shade in its properties. It can be very light, darker that white by one step, looks too brown, etc. Cream Pomeranian puppies are born white that darkens as they mature. Brindle – More of a pattern than a color. There is a base color of deep red, golden tan or light orange in the dog’s coat. Then there thin or thick stripes are running over the dog’s fur. Black – An actual black Pomeranian Teacup dog has solid black color in its nose, lips eye rims and paws. There is also no secondary colors in the dog’s coat. 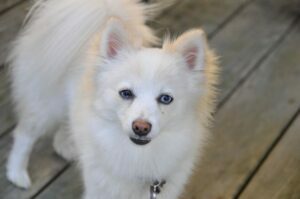 White – True white Pomeranians are as white as pure snow. There is no shading or non-white hue in the dog’s coat. Chocolate – More like a dark deep thick brunette color. As long as the dog’s skin pigmentation is dark brown and the coat’s color hue is light cream-color, the color is chocolate type. 7. Normally the dog is a suitable pet for children, but due to its diminutive size, it may not be the case. While young kids may not have a malicious intent upon the dog, they are too young to understand that they need to play and handle the dog gently. Rough playing or dropping will result in the Pomeranian having broken bones which can lead to death. On the other hand, older kids along with teenagers understand the dos and don’ts when it comes to playing and handling the dog. Nevertheless, it is advisable to supervise any interaction of the children with the Pomeranian. It’s better to be safe than sorry when it comes to your pet’s safety. 8. Most royals and nobles were among the first celebrities to own Pomeranians. Today a lot of actors and actresses have their bundle of joy on their side. Here are some examples of celebrities and their Teacup Pomeranian pets. 9. Every dog breeds have certain issues regarding health. Here are some of the more prominent health concerns. Cryptorchidism – Only male Teacup Pomeranian dogs suffer from this problem. What happens here is that one or both of the dog’s testicles does not descend into the scrotum. Surgical removal of the retained testicles is the solution for this problem. Luxating patella – This issue occurs when the patellar groove in the dog’s knee is too shallow for the patella or is not properly secure. The result is that the patella jumps out sideways of the groove (luxate) which causes the leg to lock the foot. The dog does not feel or show any pain from this occurrence, but it will eventually be limping. Black skin disease – The combination of hyperpigmentation and alopecia (hair loss) seems to affect male Pomeranians more than females. This problem happens during a dog’s puberty phase but will occur at any point of the dog’s age. Do not confuse this illness with chronic skin infections, reproductive hormone disorders, Cushing’s syndrome or hypothyroidism. Tracheal collapse – The windpipe of the dog often has tracheal rings weakening. When the weakening of the rings happens, the shape of the throat collapse and closes the dog’s airway. Should you hear your Teacup Pomeranian dog having a cough that sounds like a goose honk, having fainting spells and has an intolerance to some exercises, then it is possible that it has a tracheal collapse. Mini Pomeranian dogs with merle colors have particular illnesses affecting only their kind. Colobomas, mild or severe deafness, microphthalmia, increased intraocular pressure and ametropia is some diseases that tiny Pomeranians suffer. Skeletal, cardiac and reproductive abnormalities also inflict the dog. 10. Sadly some things can cause death in this dog breed. Pomeranian puppies are very susceptible to trauma causing their deaths. Adults also suffer from trauma as well as gastrointestinal problems and viral infections that can be fatal to them. Injuries are due to the rough playing of kids on the dog, dropping the dog from a tall height and people trampling them underfoot. 11. 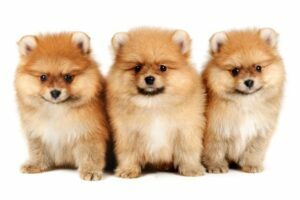 Three types of Pomeranians are dependent on their head shape. First is the fox head type which looks almost like a fox. This type is closely related to the German Spitz dog. Second is the Baby doll face which looks adorable on the dog. It is the kind of look that makes you want to carry and cradle the Pomeranian. Last is the Teddy bear face which is similar to the Baby doll face, but having the looks of a teddy bear toy. As pet companions, Teacup Pomeranian dogs will capture the hearts of dog lovers who like their dogs small yet cuddly and cute. You’d never guess that a small-size dog like the Pomeranian can be the ideal pet for some. When it comes to owning and caring this dog, breed you just need to show the Pomeranian some attention and love. These puppies are suuuuuuuper cute!!! Looking for Tea Cup Pomerian and Tea Cup Yorkie in Florida,so I can pay and bring home same day! !And to make sure I am getting what I want!! Looking for Tea Cup Pomeranian or supplier in Southern Finland. Becoming popular but hard to find. I have one they are one of the best pets to get! I have a 1/2 Chi @1:/2 Pom great mix very healthy weights 4 lbs very intelligent !! 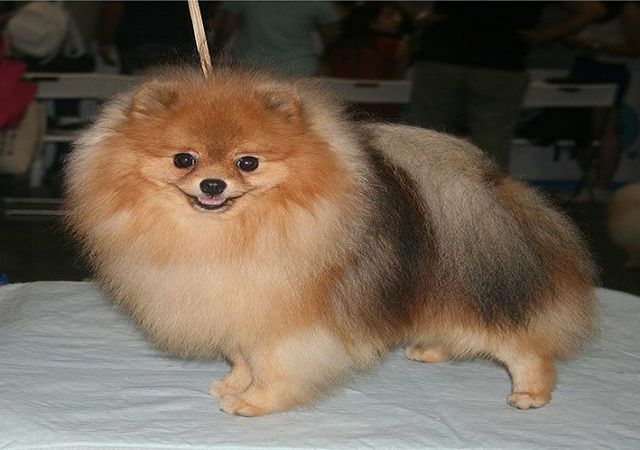 No maintenance mom was fulblooded Chi father fullblooded Pom she has short thick hair like Mom cream I hear hard to find and getting very expensive. Has face of Pom like little Apple head. Love her so much ! Her name Lou Lou !! She uses tee tee pads !! Very intertaining and loveable. I’ve heard they are working on AKC. Hi,I read your blogs named “12 Things You Need to Know About Teacup Pomeranian Dog Breeds” daily.Your humoristic style is awesome, keep doing what you’re doing! And you can look our website about love spell. I’m looking to purchase a mini Pom puppy , I live in Grangeville, ID. I’m close to Spokane, Seattle, Boise these are the major areas that I’m around. I want to see and hold the baby I purchase. I hope to hear from breeder. Sharon, please don’t feed into this seriously bad practice of breeding. The “cute” dog has a high potential for health issues. A regular size Pom can be strikingly ‘cute’ and if gotten from a quality breeder, be less likely to have issues known to this breed. Regular Poms are 3lbs and up to 7lb and then some larger ones which don’t meet standards. 3lbs dog is very small. Why promote the poor breeding of this breed to get a cute but most likely pup riddled with potential health issues from the day it is born? may include less developed bladder control, serious dental issues, enlarged heart, heart mumur, 2 types of eye problems with one being quite painful. The list goes on. Greed BAD breeders generate this ‘cute’ dog where people buy without understanding their needs and the challenges they may have. Shame on anyone for promoting this intentional bad breeding of a Pom. Well said. I too thought I wanted a micro Pomeranian in hopes that it weighed no more than 3/4 lbs fully grown. After reading all the health issues and dangers of broken bones etc, I quickly changed my mind. I recently purchased a standard toy size male Pomeranian puppy that will grow 5 – 7 lbs fully grown. While that is still very small, it still has a better chance of being healthy and less dangers of broken bones. Hard to imagine that 5 – 7 lbs is too big for people. Once fully grown, my Pomeranian will still be tiny and forever adorable. Teacup poms are super cute dogs. Looking for puppy to adopt near ohio. THIS PERSON BELOW THATS ADVERTISING ON THIS SITE STATING THAT THEY HAVE PUPPIES FOR SALE IS A SCAM ARTIST. I PAID $1000 FOR A PUPPY AND THEN THEY STOP RESPONDING TO MY TEXT AND DISCONNECTED THEIR NUMBER. DON’T FALL FOR THEIR SCAM!!!!!!!!!!!!!!!!!!!!!!!!!!!!!!!!! Looking for a female pom up to 5 pounds, I’m located in Indiana. Any GOOD known breeders in the Indiana, Ohio, KY, IL area?